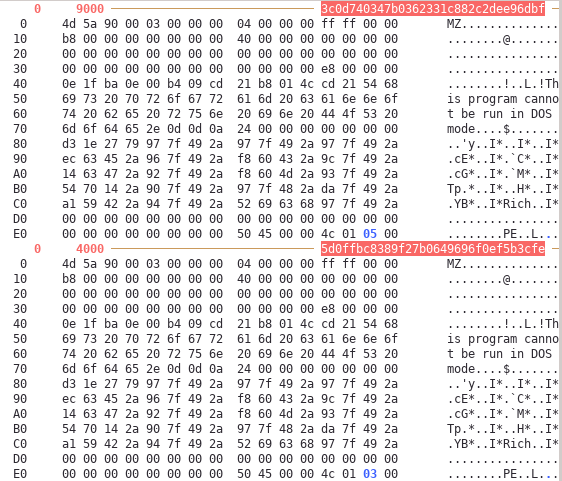 Shaggypanther – A Chinese-speaking cluster of activity targeting government entities, mainly in Taiwan and Malaysia, active since 2008 and using hidden encrypted payloads in registry keys. We couldn’t relate this to any known actor. Sidewinder – An actor mainly targeting Pakistan military targets, active since at least 2012. We have low confidence that this malware might be authored by an Indian company. To spread the malware, they use unique implementations to leverage the exploits of known vulnerabilities (such as CVE-2017-11882) and later deploy a Powershell payload in the final stages. CardinalLizard – We are moderately confident that this is a new collection of Chinese-speaking activity targeting businesses, active since 2014. Over the last few years, the group has shown an interest in the Philippines, Russia, Mongolia and Malaysia, the latter especially prevalent during 2018. The hackers use a custom malware featuring some interesting anti-detection and anti-emulation techniques. The infrastructure used also shows some overlaps with RomaingTiger and previous PlugX campaigns, but this could just be due to infrastructure reuse under the Chinese-speaking umbrella.